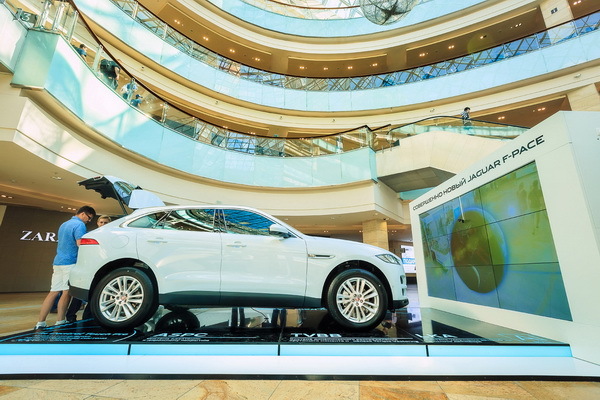 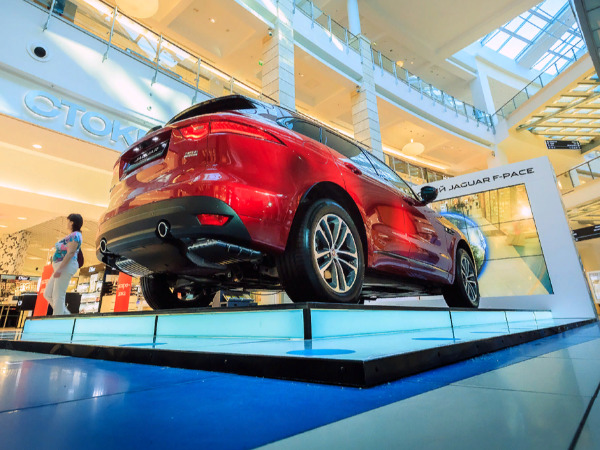 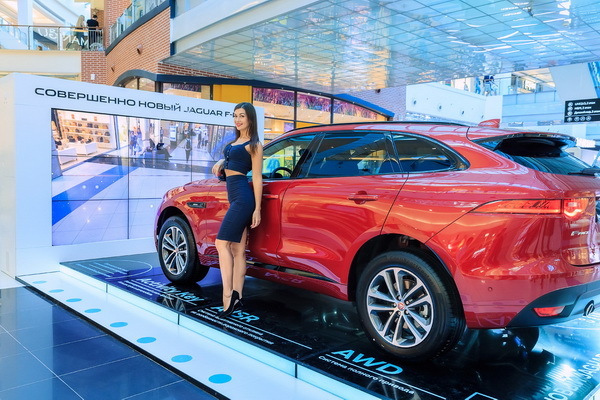 Jaguar F-pace exposition in Shopping Center Affimol City. 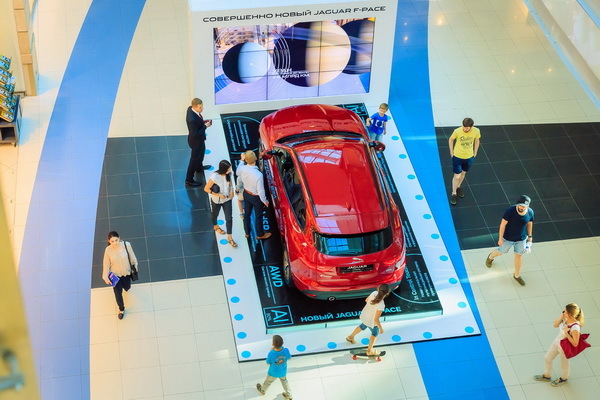 A two-level podium with a face podstvetka. 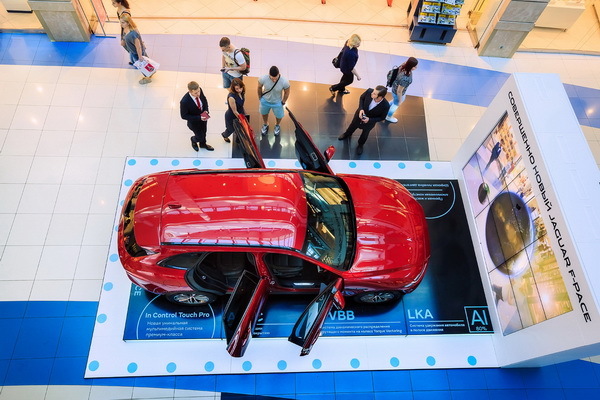 Facing by composite panels. Inscriptions - plotterny cutting of a film of Oracal. Production to porridge under multimedical other screens.